Beton Ski Team was born in spring 2014 in one of the couloirs of the Mlynicka valley in High Tatras, Slovakia. With legs still soar from the great spring snow and with hang over from the last night´s party at the hut we fell in love with steep skiing. Apart from High Tatras we started exploring also the Eastern and Western Alpes. In summer 2014 we made an expedition to Pik Komunisma (7495m) and Pik Korzynevskaja (7103m) in the Pamirs in Tajikistan. After a succesful acclimatisaiton and skiing down Pik Cetyroch (6205m) we were extremely lucky to have survived a huge avalanche on Pik Komunisma. We finished the trip by climbing Pik Korzynevskaja. A short movie from the expedition “The Pamir Game” won the viewers´ choice award at the Snow Film Festival 2015 (the biggest outdoor film festival in Czech Republic and Slovakia). 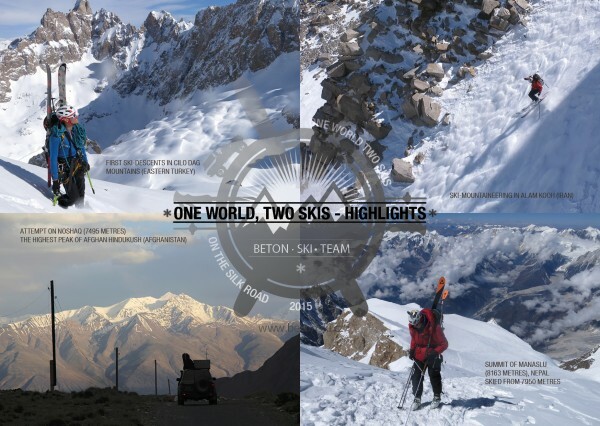 Still enjoying the good vibe, in 2015 we made our 8 months´ journey One World, Two Skis – for details see below. 8 months (260 days) of a crazy journey from the Czech Republic to Nepal. 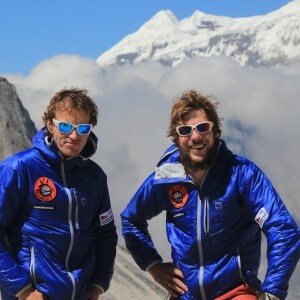 From the Adriatic Sea to the summit of Manaslu (8.163 metres). At the end of February 2015 we set off with our car (its name is Ponorka, in Czech “Submarine”, it is a Nissan Patrol GR 61) along the Silk Road. Along the way we stopped to visit beautiful mountain ranges, some of them very little explored. Martin did some paragliding too. 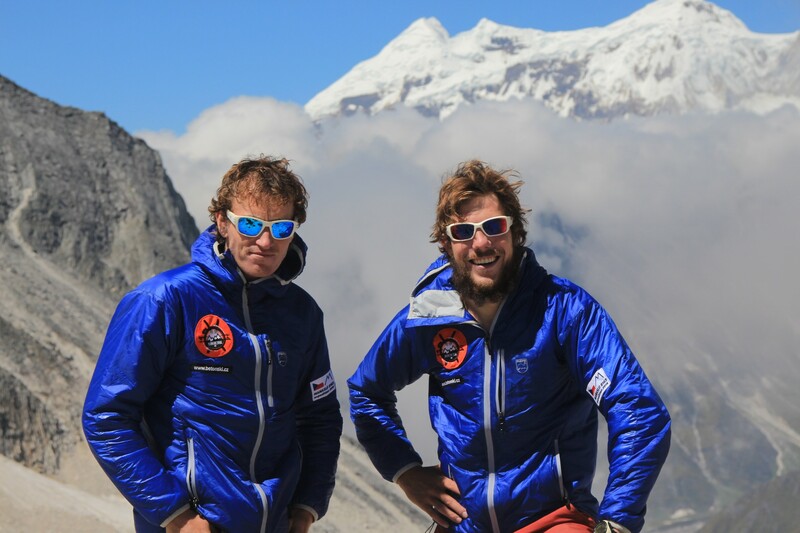 On 1st October 2015 we made it to the summit of Manaslu (8.163 metres) and skied down from 7.950 metres. We were excited. Now “only” the way back was ahead of us. In the end, it was the trickiest and most dangerous part of the whole trip. Apart from mountains we also explored local culture and visited interesting historical sites. During the whole trip we were filming. 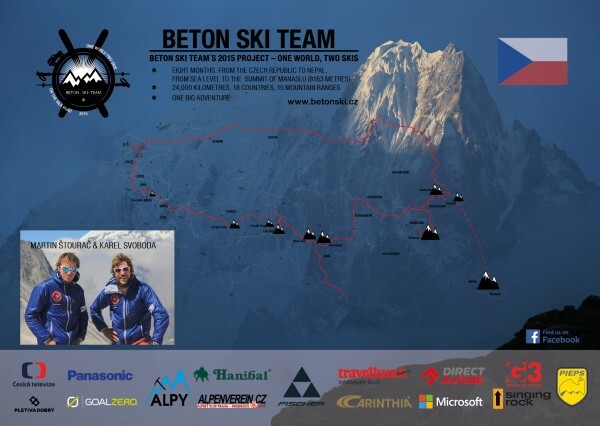 From the material a six-part documentary is being edited by the Czech TV which will combine our travelling and ski-mountaineering undertakings. You can follow us on Facebook, and Blog. “Beton” means concrete in Czech. “Concrete” is the term [that skiers use to describe snow in the early morning before it receives the first rays of sunlight. If you arrive at the top of a steep slope too early, the snow will be rock hard – which makes for very challenging skiing. This scenario often encountered us during our first visits to the High Tatras (in Slovakia), where we were on the search for steep lines. Although we have different backgrounds, we both share the same passions – mountains, remote regions and steep skiing.